As we’ve mentioned in a previous post, one of the ways to get the most value out of your points is to purchase gift cards that offer one dollar for every 1000 points. It doesn’t sound like you’re getting much return, but as far as gift certificates/gift cards are concerned, that’s usually your best bet. Well, usually because that’s the most-efficient means to milking as much value out of your points without doing anything special; these retailers offer this value ratio everyday . I say “usually” because AMEX periodically runs a promotion that offers a significantly better value. An email today announced one of those such promotions; American Express is currently offering 20% off some of their gift cards. Read more below. 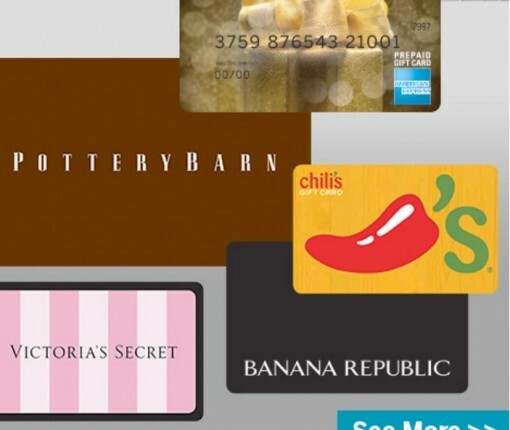 Last November, American Express ran an awesome 30% off gift cards promotion across several vendors that normally offered the $1:1000 ratio including Crate and Barrel, Gap, California Pizza Kitchen, The Cheesecake Factory, Pottery Barn and The Home Depot. That means after the discount, you received one dollar for every 700 points (instead of 1,000 points)! Needless to say, I redeemed approximately 120,000 AMEX points during that sale. If you’re lucky to have received this email and love wearing Gap or Banana Republic, shopping at Saks or Williams & Sonoma, then eating at The Cheesecake Factory — this sale is for you. * Earlier in 2015, AMEX offered a 25% off promotion so members could cash out their Membership Rewards® points for Airbnb eCertificates (I jumped on that, too). But that was more a one off promotion to announce their partnership.